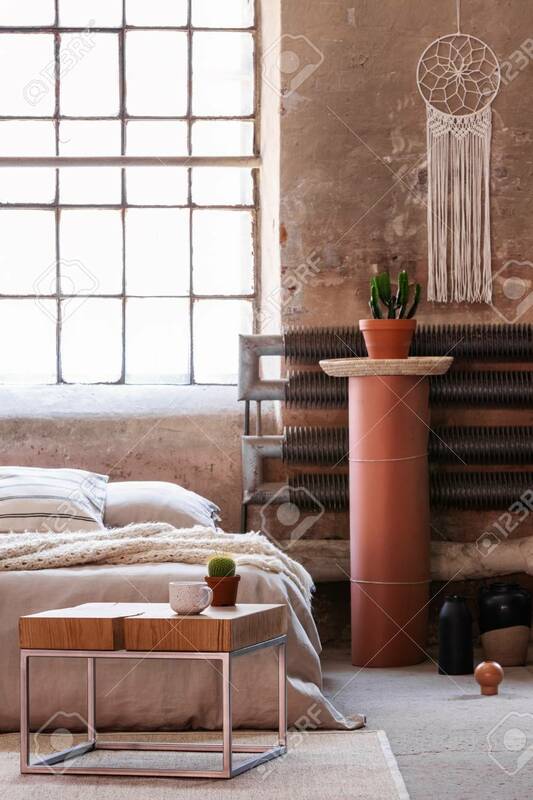 Table In Front Of A Bed, Stand With A Plant And Iron Radiator In An Industrial Bedroom Interior. Real Photo Banque D'Images Et Photos Libres De Droits. Image 110007705.